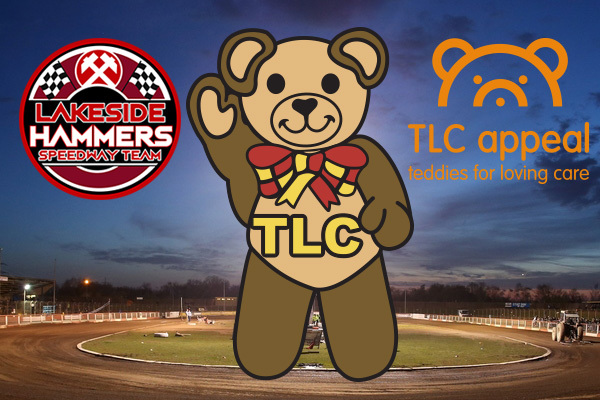 Lakeside Hammers Community Programme is proud to announce that our designated Club Charity for 2018 will be Teddies for Loving Care (TLC). Teddies for Loving Care (TLC Appeal) originated after an allergic reaction caused sudden swelling and blocking of the windpipe of Angela Simpson, the wife of local Essex businessman and Mason, Ian Simpson. Angela’s life was saved by the rapid action of the medical unit at Southend’s A & E unit who were able to resuscitate and stabilise her but the traumatic nature of the incident, highlighted the distress that many children could face when visiting A & E units. The idea of doing something useful for medical staff at A & E units was explored by Ian and members of his Masonic lodge and the compulsive idea of “Teddies for Loving Care” – to provide Teddy Bears to A&E Units for them to use where they have a child in severe distress – was born. Prior to the launch, a great deal of research was carried out and hospitals were asked how many teddies would be needed, what style would be suitable in order to meet the stringent toy safety regulations. Crucially, the teddies’ ‘cuddle factor’ was taken into consideration. The first TLC Teddies were delivered to A&E units serving Essex in March 2001, but the idea soon caught on and Freemasons around the country joined in. TLC now operates in nearly every county in England and Wales, the whole of Ireland, Cyprus, Gibraltar and most recently, New Zealand, all organised and run freely by Freemasons who also donate more than 95% of the funds needed. On average, TLC in England, Wales & Ireland currently provide a TLC Teddy to a distressed child in hospital every 2 ½ minutes – that is almost 250,000 every year. Ian Simpson, Chairman and a founder of Teddies for Loving Care said “A&E can be a scary place for adults, let alone children, and nursing staff say that our TLC Teddies really make a difference, allowing them to befriend the child, show them what they are going to do on teddy and just give them something to cuddle. In the words of Amy, a thankful mother, “The TLC Teddy gave my daughter a lot of comfort and reassurance that she was in the best place to receive help. Such a brilliant idea – thank you”. 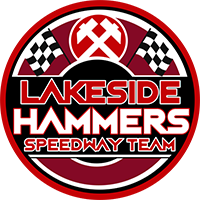 Lakeside Hammers will support the charity by providing promotional opportunities and air fence advertising space at the track and by strategically placing the TLC logo on each of the riders’ bibs. The charity will be invited to fund raise at some of our race meetings and at off track events. Each TLC bear costs about £1.50 to manufacture and distribute and we have set ourselves a financial target of raising enough funds to supply 1000 bears. The Hammers Home Pits will feature a TLC mascot and branding and the team will take a TLC teddy to every away meeting – complete with a Hammers race bib to help increase the exposure of this fantastic cause. Hammers Community Liaison Manager Mark Sexton added, “After our very successful 4 year partnership with Little Havens Children Hospice, we are delighted to have found the opportunity to support another local charity that has the health and well-being of children at its core. Click here to learn more about the TLC Appeal or follow them on Facebook here. To learn about the Hammers Community Programme, now in its 8th year, click here, and get in touch to see how your club or organisation can get involved.